The attacks came fast and furious, from March through June. A coordinated attack to vilify, ostracize and neutralize efforts by local citizen activists who are standing in opposition to Agenda 21 and its policy called Sustainable Development. The terms “conspiracy theory,” “extremists,” “fear mongers,” and “far right,” are all over these obvious attempts to smear any opposition to the agenda of the Sustainablist planners that now swarm over nearly every community in America. It started with the American Planning Association (APA) delivering yet another report in a continuing effort to understand the fierce opposition to its “innocent,” “locally- driven” programs. Apparently it is a mystery to the APA why there would be opposition to its plans to reorganize entire communities which sometimes result in turning people’s lives upside down. The APA has done a series of studies over the past few years in an attempt to find a way to silence or counter our opposition to planning. The latest report, issued in March, 2014, entitled “The Actions of Discontent,” was perhaps the most honest of the reports the APA has issued, when it said the opposition to planning is “marked by deep philosophical differences between activists and planning proponents…” That’s certainly better than saying we’re just nuts, unlike most of the usual attacks against us. That report was followed by another from the Natural Resources Defense Council entitled “Agenda 21 Conspiracy Theorists Threaten Cities’ Sustainability Efforts.” Next came another rant from “Treehugger.com,” calling me the “Conspiracy King.” Then came articles in two national news magazines, each relying on the Southern Poverty Law Center’s attack. 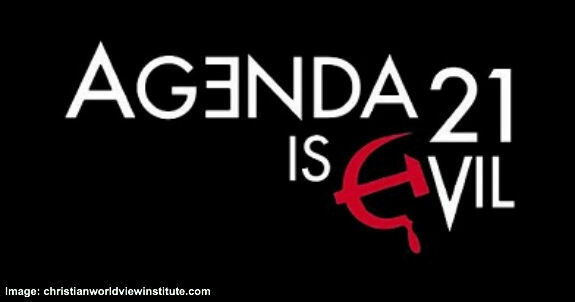 Newsweek started it with a cover article entitled “The Plots to Destroy America.” Then came Fortune magazine and its smear of activist Rosa Koire, head of Democrats Against Agenda 21. Rosa told me that it started out as an interview, then, just to “even the playing field,” reporter David Morris decided to bring in ICLEI and the Southern Poverty Law Center. Yep. Two against one. That’s a little fairer odds than we usually get. Meanwhile the tyranny of sustainable policy builds in town after town, neighborhood after neighborhood. And finally, there is this bit of news to turn any “Green” to a gray depression. Carroll County Commissioner Richard Rothschild (the man who led his governing body to be the first in the nation to send ICLEI packing) won his primary reelection bid with 58% of the vote. Commissioner Rothschild was targeted in the Republican primary by a Democrat-turned-Republican just for the occasion. The labor unions threw all of their massive resources of manpower and money into the effort to make him an example of what will happen to officials who dare oppose them. Richard defied them, speaking clearly and precisely on the dangers of sustainable development and all the policies that go with it. He didn’t try to hide his conservative views. In fact, he put the word “conservative” along with the word “leadership,” on his yard signs. He told the truth. And he won. The battle isn’t over. He still has to win the November election. But he has proven that standing up and openly fighting sustainable development is a winning issue. And the Sustainablists are panicked! The forces of freedom should gain energy from the NGO’s panic and increase our efforts to stamp out these self-appointed tyrants once and for all. We certainly have a long way to go to restore our precious Republic. But it’s D-Day on Omaha Beach and, though we continue to face fierce fighting, we have established a beachhead and are moving inland. And the Sustainablists are panicked.